This Reloader model has a blue aluminum handle and an acid stonewashed blade. 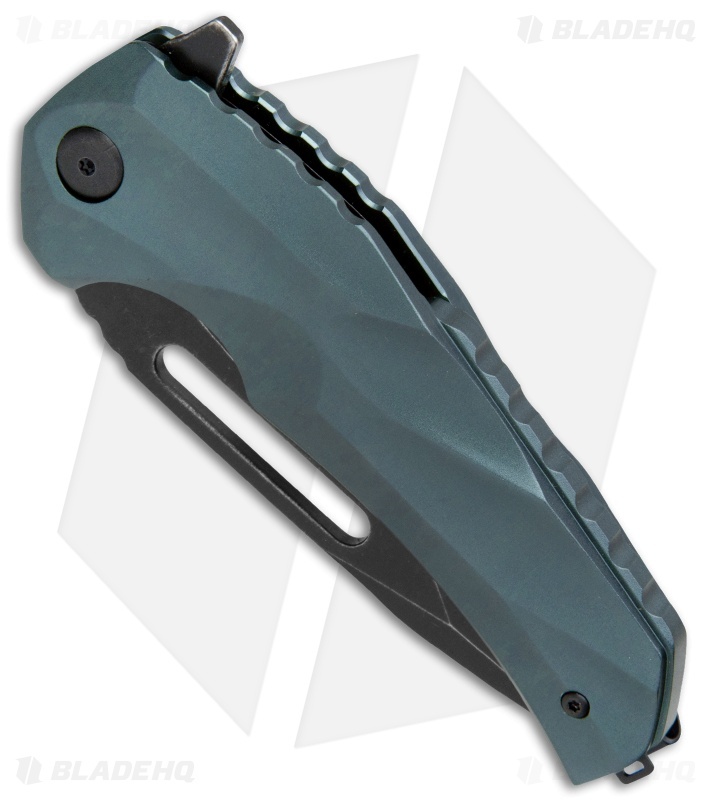 The Aluminum Edition Reloader is a collaborative design between custom knifemakers Jason Brous and Mikkel Willumsen. It offers the same solid build as the G-10 version, but in a lighter package. 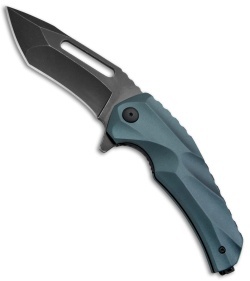 The D2 tool steel blade sports a unique hollow grind and a reinforced tanto style tip. Custom milled grooves in the aluminum handle create a unique aesthetic and a secure, comfortable grip. The Reloader comes equipped with a reversible tip-up pocket clip for convenient everyday carry. 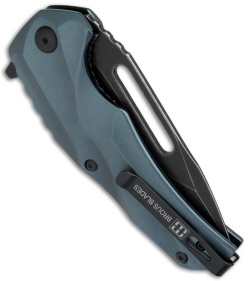 Lightweight aluminum handle construction with milled grooves and jimping to offer top-notch grip security. Ball bearing pivot allows quick one-handed deployment using the integrated flipper or elongated thumb hole.